- 例句：I lack time for studying English. 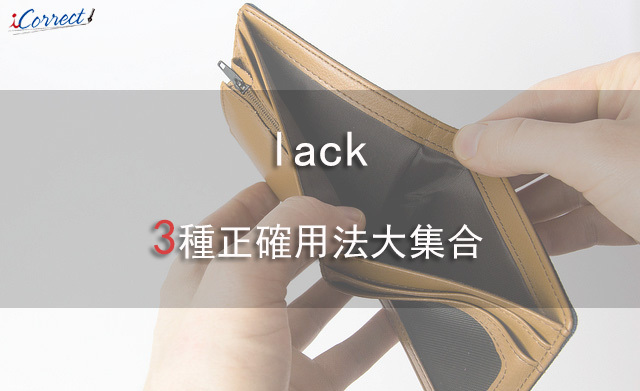 - 例句：This market has a lack of basic foodstuffs, such as bread and milk. - 例句：My best friend is lacking in confidence. (O) I have a lack of money. (O) I am lacking in money.